It has been 14 years since R&B music superstar Aaliyah passed away, but there is no doubt that her legacy continues to live on through her iconic music. Now, fans have a new way of commemorating the songstress — an Aaliyah fragrance is being launched as a tribute to the late star, ensuring her spirit lives on in the form of scent. Celebrity-made perfumes are definitely not a novelty, but ones that come out after the celeb has passed? That's definitely something we're not used to seeing! 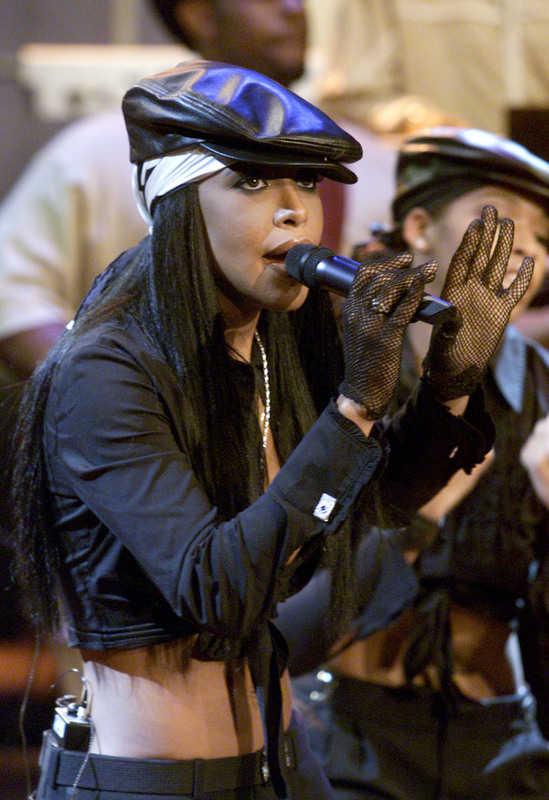 Fragrance company Xyrena worked closely with Aaliyah's mother and brother to ensure the scent kept true to the singer's signature style, rap-up.com reports. According to Xyrena CEO Killian Wells, Aaliyah's brother was a big help in the process. Wells tells MTV, "Rashad provided us with a handful of colognes that Aaliyah frequently wore which we then used as inspiration, pulling notes from each that worked well together to create an entirely new formula." Notice how he said colognes? That's because Aaliyah was reportedly a big fan of so-called masculine scents. The new unisex fragrance pulls from the starlet's favored fragrances and includes notes of vanilla, sandalwood, amber, jasmine, black pepper, violet, leather, mint, lavender, and mandarin, according to Vibe. The sweetest part? Five percent of all sales will go straight to The Aaliyah Memorial Fund. Take a look at the pretty fragrance. Aaliyah by Xyrena is reportedly available for pre-order to ship in mid-October. A commercial for the tribute scent has been released as well. Check it out. Personally, I think fragrance is a great extension of a celebrity's brand, making fans feel even more connected. Let's take a look at a few other celeb scents that are equally as awesome. How insanely chic is that bottle design?! I'm on-board with anything related to One Direction, especially this gorgeous fragrance set. This gorgeous fragrance is every bit as badass as BadGalRiRi herself. This bottle is way too pretty not to own. Perry fans will fawn over this vanilla-scented beauty. This sultry scent combines romantic and ethereal vibes to help you turn up the heat a little. Want more beauty? Check out the video below, and be sure to subscribe to Bustle’s YouTube page for hacks and tricks!